In early 2020, Charlie is aiming to become the first person to foil non-stop, unassisted across an ocean using kites. Together with accomplished adventurer, Justin Packshaw, Charlie will start the journey from the western Sahara and finish when they hit land in the Caribbean – exact destination TBC. So why is Charlie doing this? Charlie relishes the challenge of achieving a world first - foiling across an ocean has never been attempted before. He came up with the concept for the boat a while ago and it’s taken two years to bring his idea to fruition. Full size models have been built and tested and he has proven his concept works. The boat itself looks like a lobster. It could almost be described as a trimaran. It has a main hull with outriggers but this shape has not been seen on the water before. The design is now in the process of being finalised and the actual boat will be built later this year. As a sport, kiting is new to both Charlie and Justin. They have engaged the help of “Team Bridge” - a unique family of kite surfers that compete internationally in freestyle & racing with many World & European Titles between them. Olly and Steph Bridge bring a huge amount of expertise to the project and are training them for the challenge ahead. 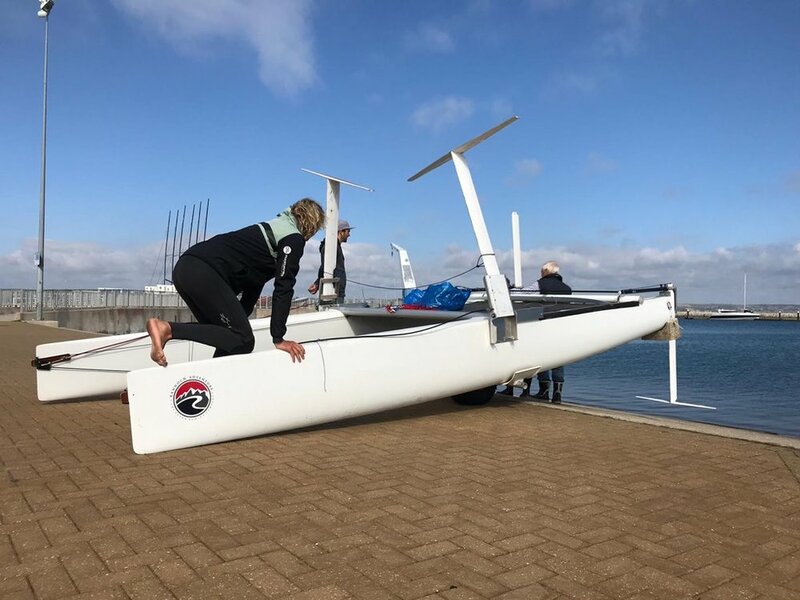 Charlie has also engaged the services of one of the world’s leading foil design consultants, Adam May (Adam designed the foils on Artemis in the Americas Cup) and Rannoch Adventure’s naval architect, Phil Morrison. With Charlie managing the project and Justin raising the necessary sponsorship to fund the adventure, the team has all the expertise and experience it needs to fulfil the dream.